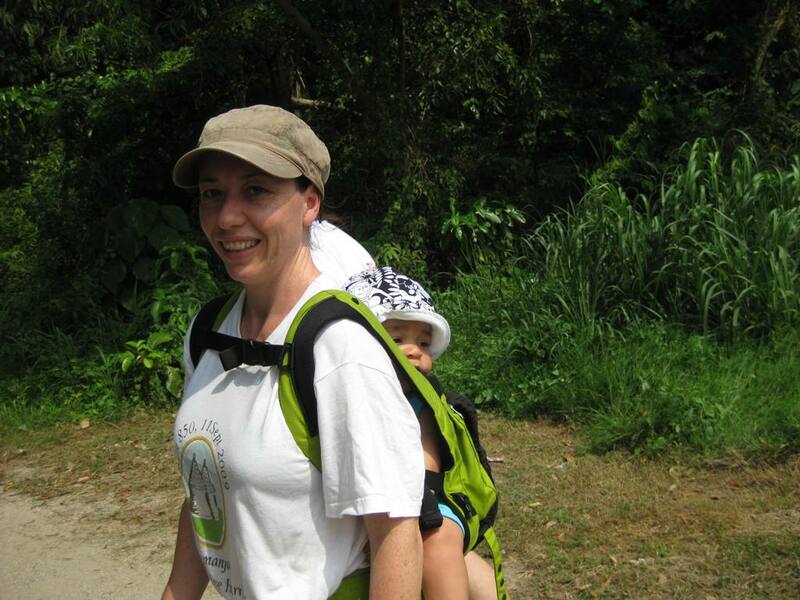 Last week there was a controversial news article published quoting Professor Cathrine Fowler from the University of Technology Sydney as saying “Outward-facing baby carriers and prams give babies a bombardment of stimulus, creating a very stressful situation. In not considering our baby’s perspective we are inadvertently quite cruel to children.” Even though there were far more important issues in the news that day it raised a lot of discussion about prams. Personally, my pram can be faced either way. It never actually occured to me to face it away from me. I like to be able to see my baby, and I do not obstruct his view at all so he can still see the world around him, so I talk to him as we walk and tell him the names of the things we see. 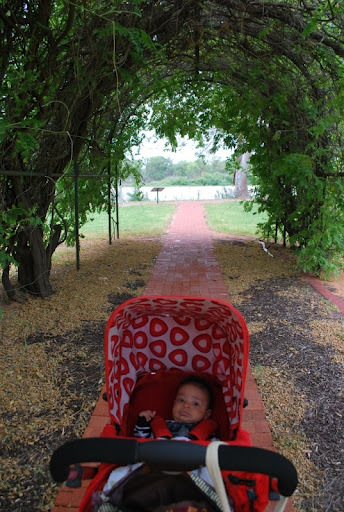 To be totally honest though, pram rides are a complete novelty for him. This might surprise some of you who know my main selling item is a Pram Snuggle pram blanket, but I am a dedicated “baby wearer” and my baby can more often be found on my back in his Ergo, where he has a fantastic view of the world, people talk to him a lot as he is up where they can see him, and he has the option of resting his head and snuggling into my back for a sleep whenever it all gets too much for him. This was something else the researcher in the article was referring to, I believe she was also talking about babies being worn in forward facing carriers on the front of an adults body, a great article by ‘babes in arms’ about why this position is not recommended can be found here. So what to you think? 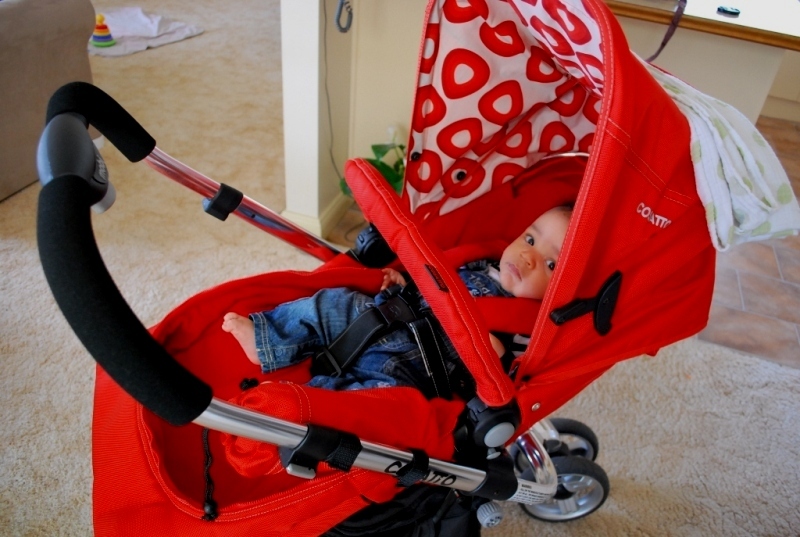 Do you have a forward facing or backward facing pram? Do you even use one at all? This entry was posted in Uncategorized and tagged news, prams on August 27, 2011 by Rebecca McQueen. 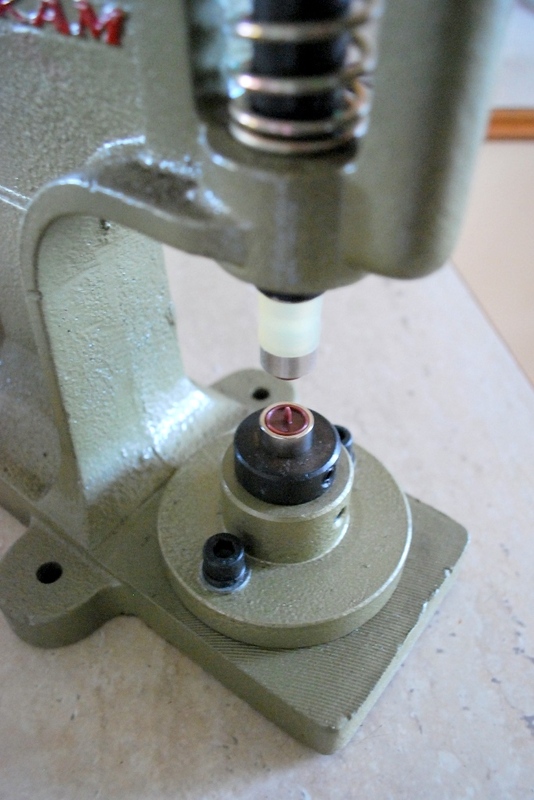 Meet my new favourite craft tool! This is my new snap press, and it is making my life a whole lot easier. 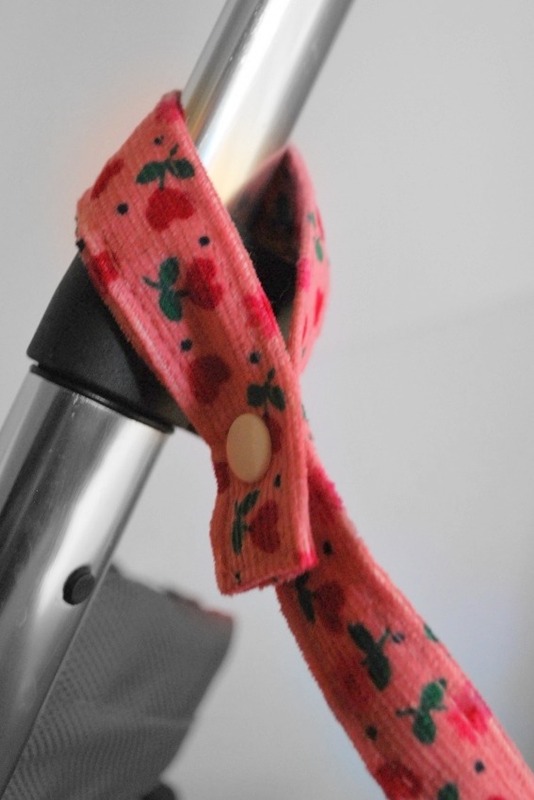 I was using velcro on my Pram Snuggles and bibs and anything else that needed fastening, and it was a step of the creative process I dreaded as it was so fiddly and time consuming. Now though it only takes a few seconds, and now my things have a little professional touch. I have mountains of scrap fabric so now I can’t wait to get creative and see what I can come up with! This entry was posted in Uncategorized and tagged press, snap on August 26, 2011 by Rebecca McQueen. 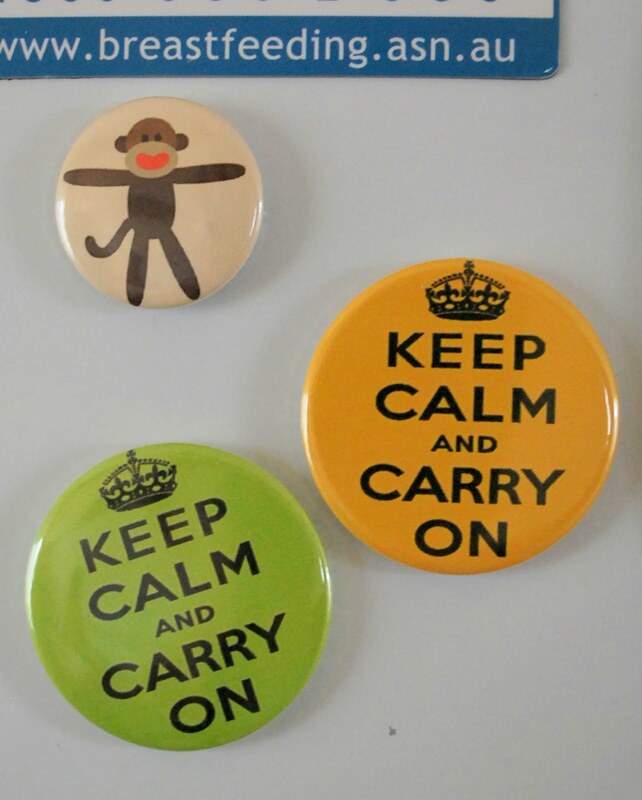 New find – Badge Bliss! 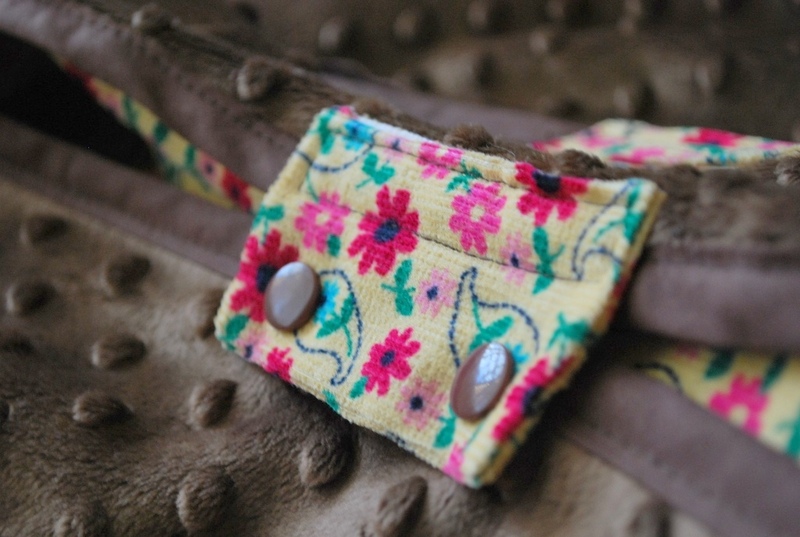 This entry was posted in badges and tagged Badge Bliss on August 10, 2011 by Rebecca McQueen.